The Ajak Articles, a four-novel science fiction series designed to challenge your imagination while maintaining an adhearence to scientific roots. Following those, are two more of my novels, Jesse's War and Son of Man. The Secret of Pellifore and Jesse's War are now being offered in manuscript form with full glossy cover art, published by Sound Workshop Music Publishing. ble soon. 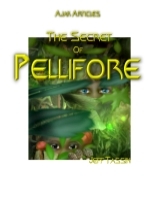 The Secret Of Pellifore; the first book, introduces a character known as Ajak, the only surviving human from a scientific expedition, born and raised from infancy among one of the two primary life forms on the planet Hironitus. The Pelliforian technology is biological in nature, symbiotic with plant life. They could not stand idle by while the predatory life form known as Chubb-Zantium persued this new pray. But what will it cost them? 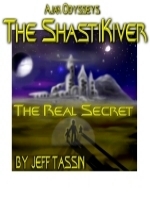 The ShastiKiver; second in the series, deals more in detail with the indigenous life in and around Pellifore. The Pelliforian attempts to keep the human a secret not only attracts the attention of the last race they wanted contact with… the humans, but something else slumbering, unnoticed for centuries is disturbed as well, something far more destructive and volatile than any of the races imagined. 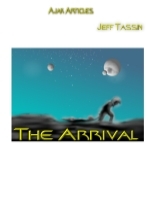 The Arrival; a prequel to the first book tells of the human's scientific expedition first attempting to establish contact with the ever-myserious Pelliforians. But the human's underestimate the preditorial intelligence of the Chubb-Zantium, a race of hidious and huge warriors whose entire culture spawns from an instinct as old as time… WAR. Simple minded though the Chubb-Zantium may be, they are dedicated, relentless warriors with an insatiable battle-lust. Once you've drawn their attentions, there is no dought that only one of you will remain alive. 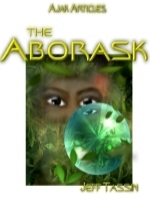 The Aborask; the final book in the series, finds Ajak finally able to return to the home he had never known, to the ones that called him their own but understood him least. How would he find this New Earth in the year 2204, compared to the lush green planet that had nurtured him during his childhood? It is events here on Earth that move Ajak to find his adult self. Yet still, there will be a final battle fought on Pelliforian soil. And the unvieling of the true identity of one of the major influences in his life will unsettle even the oldest of memories on the planet. Jesse's War; The story of an exceptionally talented young musician named Drake whose future possibilities seemed to be burgeoning, while bonds and opportunities fade for his equally gifted father. The road... it makes men out of babes and idiots out of dreamers. What dream does Drake entertain of the music business? It looks as if he'll get his chance to find out. Son of Man; the journey from religion to reality. Michael and Merril Abernathy have been living blissfully for the last twenty years, deeply rooted in a religious framework. Michael is an elder in the church, a man dedicated to his faith, facts and research. But through this dedication, he progressively discovers that archeology and science have not been idle. These new discoveries play out in ways they would never have thought possible, shaking the foundations of the Bible itself. He decides to write a book about a man writting a book about his experiences. How this book will shape events... he has no clue.